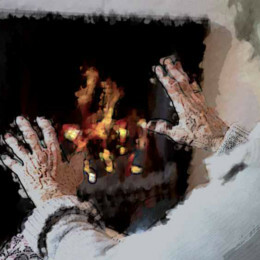 CMA proposals are "naive" and will take customers out of "the pan and into the fire." TheBigDeal.com press release, 10th March 2016. The Competition and Markets Authority, which has been investigating the state of the UK energy market for nearly two years, today published its provisional remedies. Its key recommendations are for the regulator, Ofgem, to keep a database of non-switchers so other suppliers can contact them with offers and to introduce a price cap for customers on prepayment meters. "The CMA are naive to propose opening a database of customers to energy companies. The proposal would take exploited customers out of the pan and into the fire of a thousand cynical sales pitches. People need independent advice from organisations they can trust to get the best deal for them." "The Big Six have succeeded in preventing price protection for all, with scant relief being limited to prepayment customers. The fact that customers who pose the lowest credit risk have been paying the highest prices is a disgrace. This overdue intervention to stop them being overcharged should bring shame on the Big Six." TheBigDeal.com is a consumer collective focused on reducing people's energy bills. We bring together tens of thousands of consumers and use our collective buying power to create exclusive deals. Launched in March 2014, we now have over 100,000 members and continue to grow. 62% of our members have never or hardly ever switched before - these are the very people who have been let down by the energy market for too long. Moreover, 60% of our members are over the age of 55 and 30% over the age of 65. We have saved the British public over £5 million since we launched. TheBigDeal.com is a start up business and charges a commission to energy companies. Unlike price comparison websites we are 100% transparent and publish the exact amount of our commission. For our current switch that is £40 for a dual fuel (both gas and electricity) switch. This compares to £50 to £100 for the main price comparison websites. On 2nd February 2015, TheBigDeal.com published similar research except into activity over the phone that found that all the Big Five switching websites (Go Compare, Compare the Market, MoneySupermarket, uSwitch and Confused) hid the cheapest deal when talking to customers. British Gas profits "a slap in the face for families across the country"